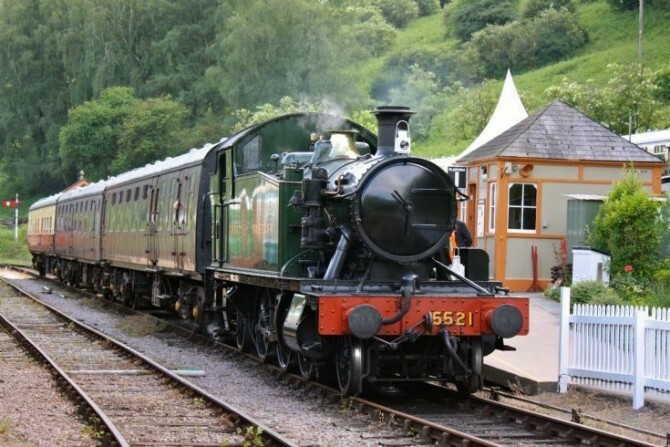 Take a magical 9 mile round trip through the medieval forest to Parkend on The Dean Forest Railway. Experience the sight, sounds and smells of travel on a rural branch railway operated by heritage steam and diesel trains. We also run a number of special events through the year, with visitors such as Thomas the Tank engine, Peppa Pig and other entertainers. Why not experience a three course meal behind a steam train with our ‘Royal Forester’ dining train? There is free parking, new 80 seater cafeteria, museum and gift shop at Norchard station. There are also stations at Parkend, Whitecroft, Lydney Town and Lydney Junction where it is possible to join the train. You pay once & can ride all day – stations are near real ale pubs, park, shops, footpaths and cycle paths – with longer walks to the restored Lydney Docks and RSPB Nagshead. Our website is www.dfr.co.uk which has full details of all our events!